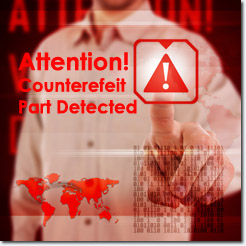 ERAI tries whenever possible to provide high resolution large-scale images to support parts uploaded to the ERAI High Risk and Suspect Counterfeit Parts Database. The quality of the images we display on the ERAI website are only as good as the images we receive from the organization that provides us the information. Image files such as JPG, PNG, BMP, etc. generally do not lose quality when they are resized from a large to small size. However, once they are resized to a smaller size, any further resizing to a larger size is impossible as it will produce a blurry image and many of the important details will be difficult to view, rendering the image less useful for our Members. 1. Do not resize the image with any graphics software (MS Paint, Photos hop, Corel, etc.) prior to sending it to us. Please leave the file in its original format and size. 2. If you are inserting the image into the ERAI reported part s form, please insert the original large image and then scale it inside the Word document by clicking on the image and using the resize feature (use your mouse to "grab" the active corner of the image and drag it to resize it to fit into the space provided. If resized this way the original image can later be extracted without any quality loss. 3. If the image is too large and cumbersome to operate within the Word document, please add it as a separate attached file to the email instead. 4. If the image originated from a test report conducted by a third party, please whenever possible include the original test report along with the form. Many times it requires a special approach and software to extract the images from the report in the original size. Upon your request, the report can be also made public alongside the images after any sensitive information has been redacted from it. 5. If you choose to attach images to the email rather than insert them into the report form and the report includes multiple reported parts, please indicate which images refer to which one of the reported parts by putting the image file names into the "images" area of each of the reported parts in the form. PLEASE NOTE: ERAI Staff is always available to assist you in any of the above tasks. You can contact us any time and we will gladly provide any necessary advice or help.